This nice and simple private room is perfect for leisure and business travelers visiting Tokyo. Located in Shinjuku Station West, just 15-minute walk if you visit Shinjuku. This new 7.44 room accommodates for single guest with well-furnished table, chair and closet inside. The shared kitchen, lounge, shower rooms and bathrooms are well-equipped. Located in neighboring area of Shinjuku which is a good base for exploring Shinjuku and Shibuya areas. BOOK NOW!+ FREE WiFi. 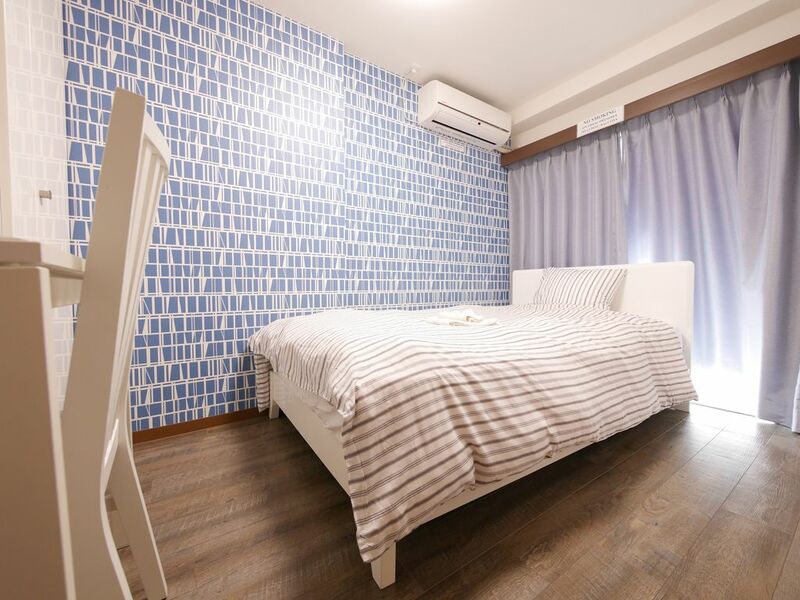 Located in a well-maintained apartment in Yoyogi, Shibuya, you will have the sole use and shared access to everything you see in the photos (kitchen, toilet/lavatory, dining room, etc.). This clean and nice private room also has a refrigerator to store your food, should it be required. Please be reminded that you may be sharing the common areas with other guests. This private room is on the 6th floor's 2nd floor of the apartment, with elevator and stairs. It has been fully renovated, with modern furniture and amenities, laminate floors, new fixtures and fittings.